Emollients are the mainstay of therapy and without them it is not possible to manage eczema effectively. Good evidence shows that the more emollients are used, the less topical steroids are needed. Compliance is essential and so always review patients to check they are happy with what has been prescribed. Most patients prefer creams and gels. The most important factor is to find one that the patient likes and is happy to use. Ointments tend to be less well tolerated by patients, but they are less likely to cause contact allergic dermatitis as they do not contain preservatives. Encourage appropriate usage by prescribing generous amounts eg 500 grams of moisturisers to use regularly (often QDS). As with other topical treatments, moisturisers should be gently rubbed into the skin until they are no longer visible. They should be applied downward in the direction of the hairs to lessen the risk of folliculitis. Order of application - if topical steroids are also being used, moisturisers can be applied first and allowed to dry for 15-20 minutes before applying the topical steroid. Emollients tend to have a short duration of action and will be required to be applied regularly or when needed. 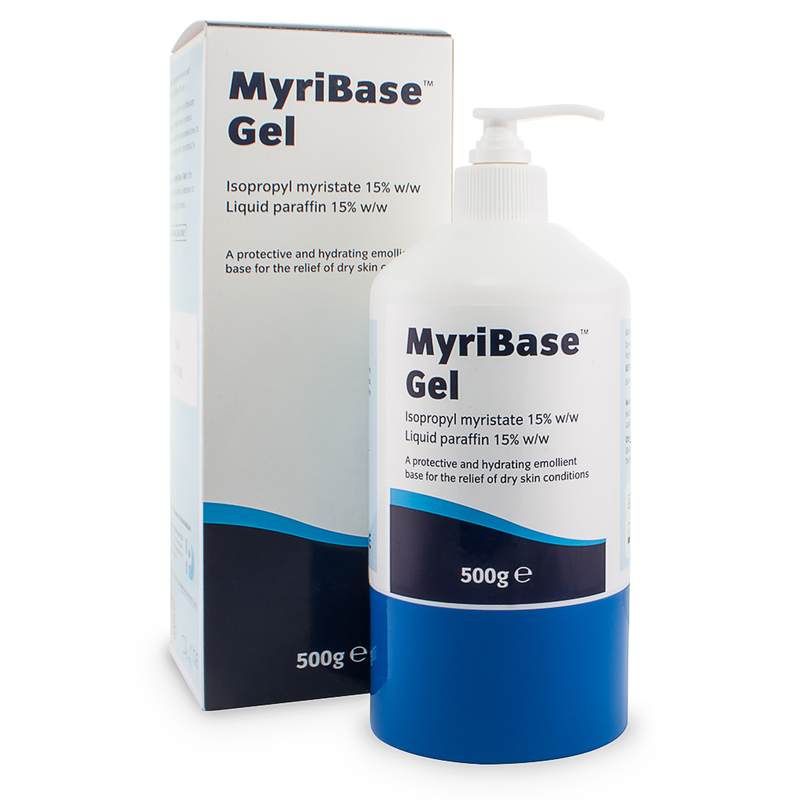 MyriBaseTM Gel is best applied when the skin is moist and should ideally be applied to the skin at least three or four times a day or as often as recommended by a healthcare professional to keep the skin well moisturised and in good condition. In particular, it is a good idea to regularly apply to the hands because they are exposed to the elements more than any other part of the body. MyriBaseTM Gel should be applied liberally to the affected area then smoothed into the skin along the line of hair growth, rather than rubbing it in. Patients may also want to use MyriBaseTM Gel after washing their hands, having a bath or taking a shower. Advise patents that when bathing they should use warm not hot water and to avoid staying in the bath too long as this can make dry skin conditions worse.